Area: 7.7 million sq. km. (3 million sq. mi. ); about the size of the 48 contiguous United States. Cities (2010): Capital: Canberra (pop. 358,000). Other cities — Sydney (4.6 million), Melbourne (4.1 million), Brisbane (2 million), Perth (1.7 million), Adelaide (1.2 million), Darwin (125,000), Hobart (215,000). Climate: Relatively dry and subject to drought, ranging from temperate in the south to tropical in the far north. Nationality: Noun and adjective — Australian(s). Population (January 2012 est. ): 22.8 million. Annual population growth rate: 1.8%. Religions (2006 census): Catholic 26%, Anglican 19%, other Christian 19%, other non-Christian 1%, Buddhist 2.1%, Islam 1.7%, no religion 19%, and not stated 12%. Education: Years compulsory: to age 16 in all states and territories except New South Wales and the Northern Territory where it is 15, and Western Australia where it is 17. Literacy — over 99%. Health: Infant mortality rate: 4.7/1,000. Life expectancy — males 79.3 years, females 83.9 years. Work force (11.4 million): Agriculture, fishing and forestry — 3%; mining — 1.8%; manufacturing — 8.75%; retail trade — 10.9%; public administration, defense, and safety — 6.2%; construction — 9%. Type: Constitutional monarchy: democratic, federal-state system. Constitution: Passed by the British Parliament on July 9, 1900. Independence (federation): January 1, 1901. Branches: Executive: Queen Elizabeth II (head of state, represented by a governor general); the monarch appoints the governor general on the advice of the prime minister. Legislative — bicameral Parliament (76-member Senate, 150-member House of Representatives). The governor general appoints the prime minister (generally the leader of the party which holds the majority in the House of Representatives) and appoints ministers on the advice of the prime minister. Judicial — independent judiciary. Administrative subdivisions: Six states and two territories. Political parties (as of July 1, 2011): Labor, Liberal, Greens, the Nationals, and Democratic Labor Party. Suffrage: Universal and compulsory 18 and over. Central government budget (revenue): A$321.4 billion, or U.S. $331 billion (FY 2010-2011); A$336.4 billion, or U.S. $346.5 billion (FY 2011-2012 est.). Defense (FY 2011-2012 est. ): A$29.1 billion, or U.S. $30 billion (approx. 2.2% of GDP). GDP (2011 estimate): A$1.3 trillion (U.S. $1.3 trillion). Inflation rate forecast for 2011-2012 (from November 2011 budget update): 2.25%. Reserve Bank official interest rate (January 2012): 4.25%. Trade: Exports ($297.5 billion, 2010-2011) — coal, iron ore, education services, gold, travel services, oil and gas, wheat. Major markets — China (A$70.5 billion, or U.S. $73 billion), Japan (A$48.9 billion, or U.S. $51 billion), Korea (A$24.3 billion, or U.S. $25 billion), India (A$18.43 billion, or U.S. $19 billion), U.S. ($14.3 billion), and U.K. (A$10.6 billion, or U.S. $11 billion). Imports ($276.6 billion, 2010-2011 estimate) — travel services, petroleum, passenger motor vehicles, refined petroleum, freight transport services, medicaments ($8.2 billion), telecom equipment ($8.9 billion). Major suppliers — China (A$42.7 billion, or U.S. $44 billion), U.S. ($36.3 billion), Japan ($18.8 billion), Thailand ($11.1 billion), and Singapore ($15.1 billion). Exchange rate (January 2012): U.S. $1.037 = A$1. Australia's indigenous inhabitants, a hunting-gathering people collectively referred to today as Aboriginals and Torres Straits Islanders, arrived more than 40,000 years ago. Although their technical culture remained static — depending on wood, bone, and stone tools and weapons — their spiritual and social life was highly complex. Most spoke several languages, and confederacies sometimes linked widely scattered tribal groups. Indigenous population density ranged from one person per square mile along the coasts to one person per 35 square miles in the arid interior. When Captain James Cook claimed Australia for Great Britain in 1770, the native population may have numbered 300,000 in as many as 500 tribes speaking many different languages. In 2006 the indigenous population was approximately 517,200, representing about 2.5% of the population. Since the end of World War II, the government and the public have made efforts to be more responsive to aboriginal rights and needs, such as Prime Minister Kevin Rudd's February 2008 apology to the indigenous people that included a pledge "to close the gap that lies between us in life expectancy, educational achievement and economic opportunity." Immigration has been vital to Australia's development since the beginning of European settlement in 1788. For generations, most settlers came from the British Isles, and the people of Australia are still predominantly of British or Irish origin. Non-British/Irish immigration has increased significantly since World War II through an extensive, planned immigration program. Since 1945, over 7 million migrants have settled in Australia, including 700,000 refugee and humanitarian entrants. About 80% have remained; 24% — almost one in four — of Australians are foreign-born. Britain, Ireland, Italy, Greece, New Zealand, and the former Yugoslavia were the largest sources of post-war immigration. In 2010-2011, China was the largest source country for permanent migrants to Australia, with New Zealand, India, Britain, and the Philippines making up the rest of the top five. Australia's humanitarian and refugee program of about 13,000 per year is in addition to other immigration programs. In recent years, refugees from Africa, the Middle East, and Southwest Asia have comprised the largest element in Australia's refugee program. Although Australia has fewer than three people per square kilometer, it is one of the world's most urbanized countries. Less than 2.5% of the population lives in remote or very remote areas. Much of Australia's culture is derived from European roots, but distinctive Australian features have evolved from the environment, aboriginal culture, and the influence of Australia's neighbors. 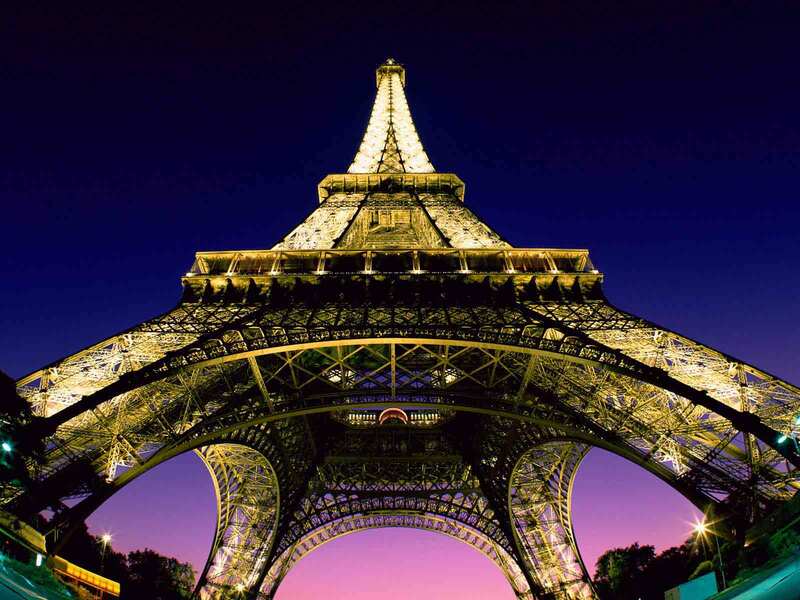 The vigor and originality of the arts in Australia — film, opera, music, painting, theater, dance, and crafts — have achieved international recognition. Australian actors and comedians including Nicole Kidman, Cate Blanchett, Russell Crowe, Geoffrey Rush, Hugh Jackman, Sam Worthington, Chris Hemsworth, the late Heath Ledger, and Dame Edna Everage (Barry Humphries) have achieved great popularity in the United States. Directors including Baz Luhrmann, Peter Weir, Philip Noyes, and Russell Mulcahy; the conductor Sir Charles Mackerras; and singers and musicians including Olivia Newton-John, The Wiggles, AC/DC, Dame Joan Sutherland, Dame Nellie Melba, and Kylie Minogue are well known. Australian artists with international reputations include Sidney Nolan, Russell Drysdale, Pro Hart, and Arthur Boyd. Writers who have achieved world recognition include Thomas Keneally, Colleen McCullough, Nevil Shute, Morris West, Jill Ker Conway, Peter Carey, Robert Hughes, Germaine Greer, and Nobel Prize winner Patrick White. In sports, Australian athletes are internationally renowned, particularly in swimming, diving, cricket, netball, tennis, rugby, rugby league, and golf. Australia's share of Olympic medals and world titles is larger than its share of the world's population. In 2005 Andrew Bogut began playing for the Milwaukee Bucks after becoming the first Australian to be drafted number one overall in the U.S. National Basketball Association draft. Cadel Evans became the first Australian to win the Tour de France cycling race in July 2011. Australian football, or "footy," is a very popular contact sport for players and spectators. On January 26, 1788 (now celebrated as Australia Day), the First Fleet under Captain Arthur Phillip landed at Sydney, and formal proclamation of the establishment of the Colony of New South Wales followed on February 7. Many of the first settlers were convicts, some condemned for offenses that today would often be thought trivial. From the mid-19th century convict transportation to Australia significantly declined; the last ship to arrive was in 1868. The discovery of gold in 1851 led to increased population, wealth, and trade. The six colonies that now constitute the states of the Australian Commonwealth were established in the following order: New South Wales, 1788; Tasmania, 1825; Western Australia, 1829; South Australia, 1836; Victoria, 1851; and Queensland, 1859. Settlement preceded these dates in most cases. Discussions between Australian and British representatives led to adoption by the British Government of an act to constitute the Commonwealth of Australia in 1900, effective January 1, 1901. In 1911, control of the Northern Territory was transferred from South Australia to the Commonwealth. 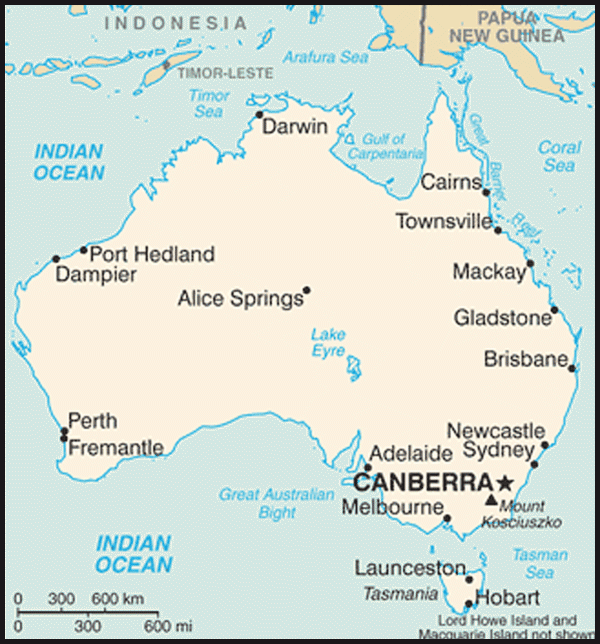 Also that year, the Australian Capital Territory (where the national capital, Canberra, is located), was established. The Northern Territory and Australian Capital Territory were granted self-government in 1978 and 1988, respectively. The first federal Parliament was opened at Melbourne in May 1901 by the Duke of York (later King George V). In May 1927, the seat of government was transferred to Canberra, a city designed by American Walter Burley Griffin. The first session of Parliament in Canberra was opened by another Duke of York (later King George VI). Australia passed the Statute of Westminster Adoption Act on October 9, 1942 (with effect as of September 3, 1939), which officially established Australia's complete autonomy in both internal and external affairs and formalized a situation that had existed for years. The Australia Act (effective March 3, 1986) eliminated almost all remaining vestiges of British legal authority, including the ability to appeal to the British Privy Council. "Advance Australia Fair" was adopted as the national anthem in 1984. The Commonwealth government is a constitutional monarchy with a Constitution patterned partly on the U.S. Constitution, although it does not include a "bill of rights." Powers of the Commonwealth are specifically defined in the Constitution, and the residual powers remain with the states. Proposed changes to the Constitution must be approved by the Parliament and the people, via referendum. Australia is an independent nation within the Commonwealth. 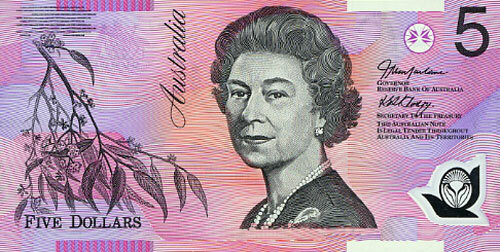 Queen Elizabeth II is the head of state and since 1973 has been officially styled "Queen of Australia." The Queen is represented federally by a governor general and in each state by a governor. By convention, the governor general generally acts on the advice of the prime minister and other ministers. However the governor general has "reserve powers," including the power to dismiss ministers, last exercised in 1975. The federal Parliament is bicameral, consisting of a 76-member Senate and a 150-member House of Representatives. Twelve senators from each state are elected for 6-year terms, with half elected every 3 years. Each territory has two senators who are elected for 3-year terms, concurrent with that of the House. Seats in the House of Representatives are allocated among the states and territories roughly in proportion to population. The two chambers have equal powers, except all proposals for appropriating revenue or imposing taxes must be introduced in the House of Representatives. Under the prevailing Westminster parliamentary system, the leader of the political party or coalition of parties that wins a majority of the seats in the House of Representatives becomes prime minister. The prime minister and the cabinet wield actual power and are responsible to the Parliament, of which they must be elected members. General elections are held at least once every 3 years. Each state is headed by a premier, who is the leader of the party with a majority or a working minority in the lower house of the state legislature. (Queensland is an exception, with a unicameral parliament.) Australia's two self-governing territories have political systems similar to those of the states, but with unicameral assemblies. Each territory is headed by a chief minister who is the leader of the party with a majority or a working minority in the territory's legislature. More than 670 local councils assist in the delivery of services such as road maintenance, sewage treatment, and the provision of recreational facilities. At the apex of the court system is the High Court of Australia. It has general appellate jurisdiction over all other federal and state courts and possesses the power of constitutional review. Australia maintains an embassy (http://www.usa.embassy.gov.au/) in the United States at 1601 Massachusetts Avenue NW, Washington, DC 20036 (tel. 202-797-3000), and consulates general in New York (212-351-6500), San Francisco (415-536-1970), Honolulu (808-524-5050), Los Angeles (310-229-4800), Chicago (312-419-1480), and Atlanta (404-760-3400). Three political parties dominate the center of the Australian political spectrum. The Liberal Party (LP), nominally representing urban business interests, and its smaller coalition partner, the Nationals, nominally representing rural interests, are the center-right parties. The center-left Australian Labor Party, founded by labor unions, nominally represents workers and left-of-center groups. While traditionally moderately socialist in its policies, today it is best described as a social democratic party. There is strong bipartisan sentiment on many international issues, including Australia's commitment to its alliance with the United States. Julia Gillard assumed the office of Prime Minister in June 2010, succeeding Kevin Rudd following her unopposed election as Labor leader in a caucus ballot. The August 21, 2010, federal election produced a hung parliament, with neither the Labor Party, under the leadership of Gillard, nor the Liberal/National Coalition, led by Opposition Leader Tony Abbott, holding a majority of seats. Subsequently, the Labor Party secured the support of the Greens Party Member of Parliament (MP) and three independent MPs to gain a majority of 76 seats. The government was sworn in September 14, 2010. Peter Slipper became Speaker of the House in November 2011, subsequently resigning as an Opposition MP to sit as an independent. In January 2012 independent MP Andrew Wilkie withdrew support for the Labor Party. With these changes, the Gillard-led government can typically rely on the support of 75 voting lawmakers and the Opposition 73. The composition of the Senate, effective July 2011, is 34 seats for the Liberal/National Coalition, 31 for the Labor Party, nine for the Greens, one for the Democratic Labor Party, and one independent. Gillard delivered on her campaign promise and passed landmark carbon price legislation in October 2011, and continued to work toward building a national broadband network. The Australian Government's foreign policy shows strong continuity with that of its predecessors, including support for the U.S. alliance, engagement in the Asia-Pacific, and commitment to the mission in Afghanistan where it has deployed about 1,550 troops. Australia's economy is dominated by its services sector, yet it is the agricultural and mining sectors that account for the bulk of Australia's exports. Australia's comparative advantage in the export of primary products is a reflection of the natural wealth of the Australian continent and its small domestic market; 23 million people occupy a continent the size of the contiguous United States. The relative size of the manufacturing sector has been declining for several decades, but has now steadied at around 8.5% of GDP. The global recovery is putting upward pressure on prices for Australia's commodity exports, which caused a substantial rise in the terms of trade in 2011. Since the 1980s, Australia has undertaken significant structural reform of its economy and has transformed itself from an inward-looking, highly protected, and regulated marketplace to an open, internationally competitive, export-oriented economy. Key economic reforms included unilaterally reducing high tariffs and other protective barriers to free trade, floating the Australian dollar, deregulating the financial services sector, including liberalizing access for foreign banks, increasing flexibility in the labor market, reducing duplication and increasing efficiency between the federal and state branches of government, privatizing many government-owned monopolies, and reforming the taxation system, including introducing a broad-based Goods and Services Tax (GST) and large reductions in income tax rates. Australia enjoys one of the highest standards of living in the G7. Australia's economic standing in the world is a result of a commitment to best-practice macroeconomic policy settings, including the delegation of the conduct of monetary policy to the independent Reserve Bank of Australia, and a broad acceptance of prudent fiscal policy where the government aims for fiscal balance over the economic cycle. Economic recovery is strengthening, with GDP forecast to grow by 3.25% in 2011-2012 and 2012-2013. The success of monetary and fiscal stimulus is projected to return the budget to surplus in 2012. Net debt is forecast to peak at 8.9% of GDP in 2011-2012. The unemployment rate was 5.3% in November 2011. Labor market participation has remained at around 65%. Both the federal and state governments have recognized the need to invest heavily in water, transport, ports, telecommunications, and education infrastructure to expand Australia's supply capacity. The largest river system in Australia, the Murray-Darling, and related coastal lakes and wetlands in South Australia are threatened, although the long drought has broken, and the government has developed a plan to improve irrigation infrastructure and efficiency and buy back unused water allocations along the river. A second significant issue is climate change. A report commissioned by Prime Minister John Howard recommended a domestic carbon emissions trading scheme and that Australia take an active role in developing a future global carbon emissions trading system. The Gillard government has passed legislation to price carbon at a rate of A$23 (about U.S. $24) per ton from July 2012, with free carbon credits provided to many companies. The Australia-U.S. Free Trade Agreement (AUSFTA) entered into force on January 1, 2005. The AUSFTA was the second free trade agreement (FTA) the United States concluded with a developed economy, following the U.S.-Canada FTA in 1988. Australia also has FTAs with New Zealand, ASEAN, Singapore, Thailand, and Chile, and is pursuing other FTAs, including with China, Japan, Malaysia, and South Korea. Australia is also involved in ongoing Trans-Pacific Partnership (TPP) trade negotiations. Australia has been an active participant in international affairs since federation in 1901, and Australian forces have fought beside the United States and other Allies in every significant conflict since World War I. On January 8, 1940, the governments of the United States and Australia announced the establishment of bilateral diplomatic relations. In 1944, Australia concluded an agreement with New Zealand dealing with the security, welfare, and advancement of the people of the independent territories of the Pacific (the ANZAC pact). After World War II, Australia played a role in the Far Eastern Commission in Japan and supported Indonesian independence during that country's revolt against the Dutch. Australia was one of the founding members of the United Nations, the South Pacific Commission, and the Colombo Plan. In addition to contributing to UN forces in Korea — it was the first country to announce it would do so after the United States — Australia sent troops to fight the 1948-1960 communist revolt in Malaya and later to combat the 1963-1965 Indonesian-supported invasion of Sarawak. The United States, Australia, and New Zealand signed the ANZUS Treaty in 1951, which remains Australia's pre-eminent formal security treaty alliance. Australia sent troops to assist South Vietnamese and U.S. forces in Vietnam, and joined coalition forces in the Persian Gulf conflict in 1991, in Afghanistan in 2001, and in Iraq in 2003. Australia has been active in the Australia-New Zealand-U.K. Agreement and the Five-Power Defence Arrangements — successive arrangements with Britain and New Zealand to ensure the security of Singapore and Malaysia. Australia participates in a Trilateral Security Dialogue with the United States and Japan. One of the drafters of the UN Charter, Australia has given firm support to the United Nations and its specialized agencies. It was a member of the UN Economic and Social Council 1986-1989, and a member of the UN Human Rights Commission 1994-1996 and 2003-2005. Australia is seeking a non-permanent seat on the UN Security Council for 2013-2014; it was last a member 1985-1986. Australia takes a prominent part in many other UN activities, including peacekeeping, nonproliferation and disarmament negotiations, and narcotics control. Australia also is active in the G20, the Commonwealth Heads of Government, the Pacific Islands Forum, the Cairns Group — countries pressing for agricultural trade reform in World Trade Organization (WTO) negotiations — and the Asia-Pacific Economic Cooperation (APEC) forum, of which it is a founding member. In 2002, Australia joined the International Criminal Court. Australia has devoted particular attention to relations between developed and developing nations, with emphasis on the 10 countries of the Association of Southeast Asian Nations (ASEAN) and the island states of the South Pacific. Australia is an active participant in the ASEAN Regional Forum (ARF), which promotes regional cooperation on security issues, and has been a member of the East Asia Summit (EAS) since its inauguration in 2005. Prime Minister Rudd's government argued that the Asia-Pacific area needs a regional body that addresses both security and economic issues; as Foreign Minister, Rudd has said this concept was reflected in the expanded East Asian Summit. Australia was active in urging the United States and Russia to participate in the EAS, which both countries officially joined in 2011. In September 1999, acting under a UN Security Council mandate, Australia led an international coalition to restore order in East Timor upon Indonesia's withdrawal from that territory. In 2006, Australia participated in an international peacekeeping operation in Timor-Leste (formerly East Timor). Australia led a regional mission to restore law and order in Solomon Islands in 2003 and again in 2006. Australia is part of the Asia-Pacific Partnership on Clean Development and Climate, which also includes the United States. The government is committed to increasing official development assistance to 0.5% of gross national income by 2015-2016 (est. A$8 billion, about U.S. $8 billion). Australia budgeted $A4.8 billion (U.S. $5.1 billion) for FY 2011-2012 and A$4.35 billion (U.S. $4.7 billion) in FY 2010-2011. The Australian aid program provides development assistance to 75 countries and is concentrated in the Asia-Pacific region (Papua New Guinea and Indonesia are the largest recipients). Selected aid flows are allocated to Africa, Latin America, the Caribbean, and the Middle East. Australia also delivers aid through several multilateral organizations, including the United Nations, the World Bank, and UNICEF. Contributions to global programs and other expenses account for 38% of the foreign assistance budget. The Australia, New Zealand, United States (ANZUS) security treaty was concluded in San Francisco on September 1, 1951, and entered into force on April 29, 1952. The treaty bound the signatories to recognize that an armed attack in the Pacific area on any of them would endanger the peace and safety of the others. It committed them to consult in the event of a threat and, in the event of attack, to meet the common danger in accordance with their respective constitutional processes. The three nations also pledged to maintain and develop individual and collective capabilities to resist attack. In 1984, the nature of the ANZUS alliance changed after the Government of New Zealand refused access to its ports by nuclear-weapons-capable and nuclear-powered ships of the U.S. Navy. The United States suspended defense obligations to New Zealand. Ministerial consultations (AUSMIN) involving the U.S. Secretaries of State and Defense and Australian Foreign and Defense Ministers now alternate between Australia and the United States. The U.S.-Australia alliance under the ANZUS Treaty remains in full force and was enlarged to include cyber security at the 2011 AUSMIN meeting in San Francisco. AUSMIN meetings are supplemented by consultations between the U.S. Combatant Commander, Pacific and the Australian Chief of Defence Force. There also are regular civilian and military consultations between the two governments at lower levels. ANZUS has no integrated defense structure or dedicated forces. However, in fulfillment of ANZUS obligations, Australia and the United States conduct a variety of joint activities. These include military exercises ranging from naval and landing exercises at the task-group level, to battalion-level special forces training, to numerous smaller-scale exercises. There are numerous liaison and exchange officers assigned to each other's armed services. These officers work to standardize, where possible, equipment and operational doctrine. The biennial "Talisman Saber" exercise, conducted with Australia, is the United States' largest military training exercise. In 2011, it featured 14,000 U.S. and 8,500 Australian personnel. The two countries operate joint defense facilities in Australia. As a result of terrorist attacks on the United States on September 11, 2001, Prime Minister Howard and U.S. President George W. Bush jointly invoked the ANZUS Treaty for the first time on September 14, 2001. Australia was one of the earliest participants in Operation Enduring Freedom and remains an unwavering member of the International Security Assistance Force in Afghanistan. Australia has an active deployment of approximately 1,550 troops in Afghanistan and also provides significant development and capacity building assistance to the country. The Australian Defence Force participated in coalition military action against Iraq in Operation Iraqi Freedom. Australian combat forces began their withdrawal from Iraq in mid-2008 and forces were fully removed by July 2009. The Australian Army is projected to grow from 30,617 in FY 2011-2012 to 31,076 in FY 2014-2015. This will enable the establishment of two Army battalions. The U.S. and Australia signed a Defense Trade Cooperation Treaty in Sydney in September 2007. This treaty, when approved by Australia and implemented, will facilitate the trade of defense equipment and technology between the countries. In May 2009, the Australian Government released its Defence White Paper, outlining Australia's long-term strategic outlook. In addition to buying Joint Strike Fighter aircraft, the White Paper proposed doubling Australia's submarine fleet via development and deployment of a new class of submarine, and replacing the ANZAC-class frigates and the Army's armored personnel carriers. The next Defence White Paper is scheduled to be released in 2014. President Barack Obama and Prime Minister Gillard announced in November 2011 that from mid-2012, the U.S. will deploy a company-sized rotation of 250 Marines to the Northern Territory, Australia. This number is expected to increase to 2,500 over the next 6 years for 6-month rotations. They also announced plans for greater U.S. air and naval access to Royal Australian Air Force (RAAF) facilities. The Australian Government has stated its intention to maintain its investment in future capability of the Australian Defence Force. To do so, the government has committed to a 3% annual growth in real defense funding through 2018 — and 2.2% annual real growth from 2018 to 2030 — to ensure the Australian Defence Force can continue to meet capability and interoperability goals. Australia is a significant purchaser of U.S. military equipment, consistently ranked in the top 10 globally based on sales in dollar value. In August 2004, Australia selected the U.S. Navy Aegis Combat System for three new air warfare destroyers, which will start coming into service in 2014. In a joint venture with the U.S. Navy, Australia is upgrading its Submarine Combat System, and its associated support infrastructure, for its six Collins-class submarines. The F/A-18 fighter is the principal combat aircraft of the Royal Australian Air Force. In October 2002, Australia became a Level III partner in the U.S.-led Joint Strike Fighter program. Additionally, the Australian Government signed the Joint Strike Fighter Production, Sustainment and Follow-on Development memorandum of understanding in 2006. Australia is projected to buy 72, and possibly up to 100, Joint Strike Fighter aircraft with deliveries starting in 2014. Australia's first operational squadron is planned to be ready for operations in 2018. Australia is also a developmental partner for the P-8A Poseidon maritime patrol aircraft. In 2011, the Royal Australian Air Force completed acquisition of 24 Boeing F/A-18F Super Hornet fighters as an interim strike capability to bridge the capability gap to Joint Strike Fighter delivery. The Royal Australian Air Force took delivery of its fifth Boeing C-17 strategic airlift aircraft in 2011, with delivery of its sixth scheduled in 2012. In addition, Boeing has provided the RAAF with an Airborne Early Warning and Control system based on the Next-Generation 737-700 aircraft as the airborne platform. Recent major U.S. sales to Australia include MH-60 "Romeo" helicopters, CH-47F Chinook helicopters, the M1A1 Abrams tank, M-777 howitzers (artillery), tactical unmanned aerial systems, and numerous types of missiles and other munitions. Future opportunities include light cargo aircraft replacement, submarine technologies, and unmanned surveillance capabilities. The World War II experience, similarities in culture and historical background, and shared democratic values have made U.S. relations with Australia exceptionally strong and close. Ties linking the two nations cover the entire spectrum of international relations — from commercial, cultural, and environmental contacts to political and defense cooperation. Two-way trade was A$50.6 billion (U.S. $50.6 billion) in 2010-2011. Around 473,000 Americans visited Australia in the 12 months to April 2011. Traditional friendship is reinforced by the wide range of common interests and similar views on most major international questions. For example, both attach high priority to controlling and eventually eliminating chemical weapons, other weapons of mass destruction, and anti-personnel landmines; and both work closely on global environmental issues such as slowing climate change and preserving coral reefs. The Australian Government and the Opposition share the view that Australia's security depends on firm ties with the United States, and the ANZUS Treaty enjoys broad bipartisan support. Presidential visits to Australia (in 1991, 1996, 2003, 2007, and 2011), a Vice Presidential visit in February 2007, and Australian Prime Ministerial visits to the United States (in 1995, 1997, 1999, 2001, 2002, 2003, 2004, 2005, 2006, 2008, 2009, and 2011) have underscored the strength and closeness of the alliance. 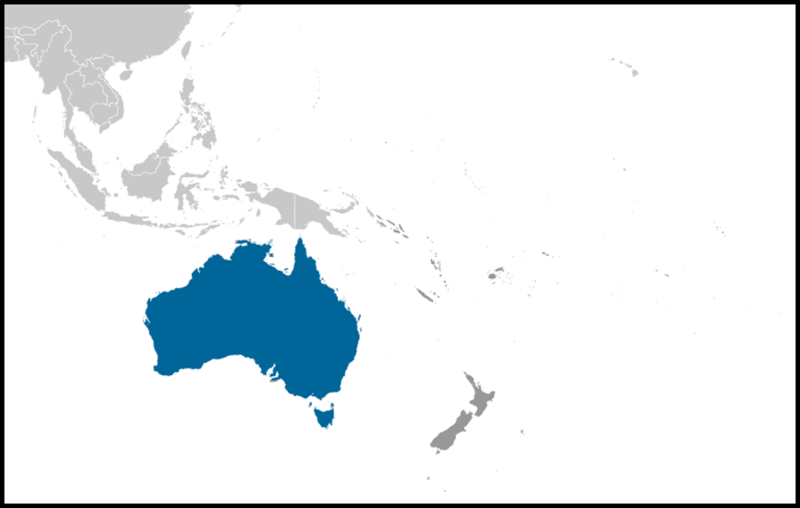 The bilateral Australia-U.S. Free Trade Agreement (AUSFTA) entered into force on January 1, 2005. This comprehensive agreement substantially liberalized an already vibrant trade and investment relationship and was only the second FTA between the U.S. and a developed nation. The AUSFTA created a range of ongoing working groups and committees to explore further trade reform in the bilateral context. Both countries share a commitment to liberalizing global trade. They work together very closely in the World Trade Organization (WTO), and both are active members of the Asia-Pacific Economic Cooperation (APEC) forum. A number of U.S. institutions conduct scientific activities in Australia because of its geographical position, large land mass, advanced technology, and, above all, the ready cooperation of its government and scientists. In 2005, a bilateral science and technology agreement was renewed. Under another agreement dating back to 1960 and since renewed, the U.S. National Aeronautics and Space Administration (NASA) maintains in Australia one of its largest and most important programs outside the United States, including a number of tracking facilities vital to the U.S. space program. Indicative of the broad-ranging U.S.-Australian cooperation on other global issues, a Mutual Legal Assistance Treaty (MLAT) was concluded in 1997, enhancing already close bilateral cooperation on legal and counter-narcotics issues. In 2001, the U.S. and Australia signed a new tax treaty and a bilateral social security agreement. The U.S. Studies Center was launched in 2006 at the University of Sydney with Commonwealth funding of A$25 million (U.S. $25 million). In April 2010, Australia and the U.S. signed a memorandum of understanding to strengthen emergency management cooperation including during bushfires, major storms, and other severe natural disasters. The U.S. Embassy Sydney (http://canberra.usembassy.gov/) in Australia is located at Moonah Place, Yarralumla, Canberra, Australian Capital Territory 2600 (tel. 61-2-6214-5600; fax 61-2-6214-5970). Consulates General are in Perth (http://sydney.usconsulate.gov/), (address: MLC Center, Level 59, 19-29 Martin Place, Sydney, NSW 2000; tel. 61-2-9373-9200; fax 61-2-9373-9125); Melbourne (http://melbourne.usconsulate.gov/) address: 553 St. Kilda Road, Melbourne, VIC 3004; tel. 61-3-9526-5900; fax 61-3-9510-4646); and Perth (http://perth.usconsulate.gov/) address: 13th Floor, 16 St. George's Terrace, Perth, WA 6000; tel. 61-8-9202-1224; fax. 61-8-9231-9444.